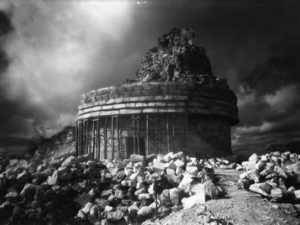 Scattered throughout Central America, the remains of buildings and facilities, designed to support manned aircraft and other self-propelled vehicles lay in ruin. These ancient airports were used and maintained, thousands of years before the Aztecs emerged on the scene, by an unknown people possessing an advanced knowledge of cosmology, aeronautics, and other sciences. The most notable of these airports is Teotihuacan, just south of Mexico City. With its massive central runway and pods and platforms to support a wide variety of aircraft, Teotihuacan served as one of the largest traveling centers in the America’s and may have shuttled thousands of people around our planet on a daily basis. 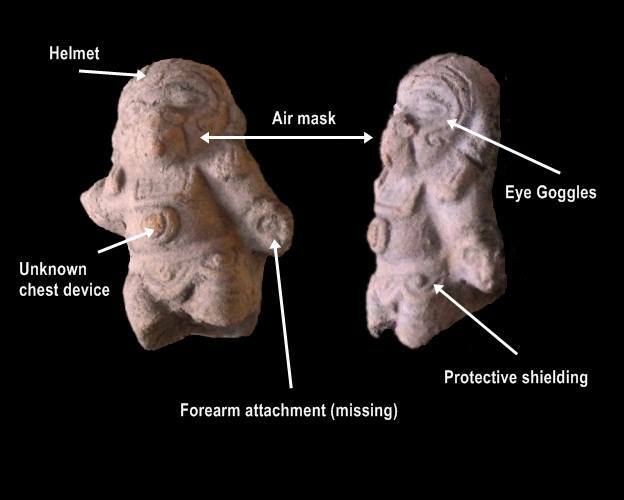 Earth Ancients: Startling Discoveries from our Planets Distant Past, features a number of these early airports, and relics from a number of locations around the world. You may be asking – how does he know they were airports, and what proof does he have that air transportation was their designed purpose? Many of these ancient airports may have been modified in the years following a global cataclysm that wiped the planet clean of the civilizations that occupied them– but these modifications were to buildings, runways and other features which supported the lift off and landing of aircraft. The clues to these facilities can be found in the remains of markers, and other land based features that were designed for an aircraft pilot to see and for onboard instruments adjustments. In my search for evidence or relics from Central America’s aeronautic past, I’ve discovered a number of artifacts which highlight, what must have been, a sophisticated industry of air and space travel. 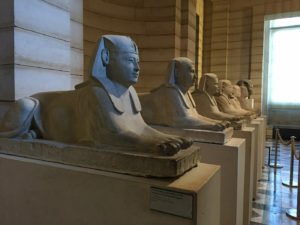 With no written records to use, and many building modified in the years after these people and their machines were consumed in a Global cataclysm, my search has been conducted in the museum, pre-Columbian auctions, private collections, and most important, the native traditions of those that remain. 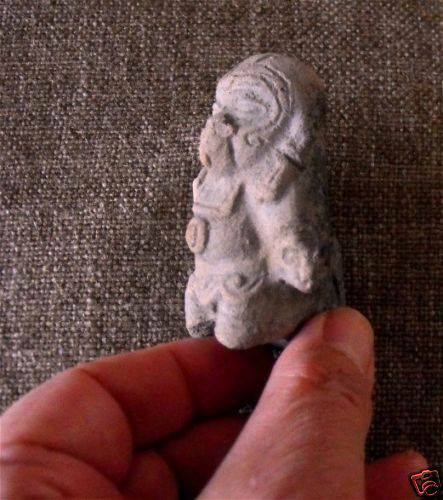 In this short article, I’ll highlight one of the better examples of ancient air travel artifacts with a discovery I made in 2009, “The Guatemalan Pilot.” I discovered the small figurine in an eBay auction in Fall of 2009. Having traveled extensively throughout Mexico – I knew that looters were selling artifacts by the thousands to anyone willing to pay their asking price, and eBay was one of the best sources for a quick transaction. Side view of the equipment. I’ve reported a number of amazing finds on eBay and in a few instances have purchased items myself. 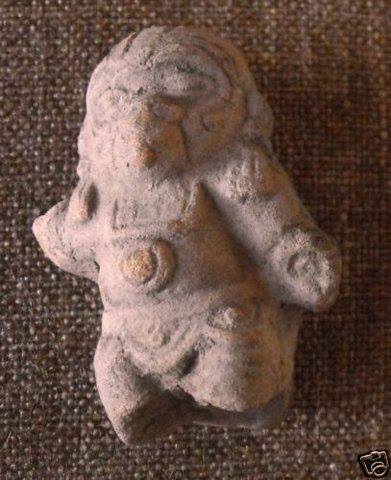 The seller claimed that the small figure came from Guatemala and was part of a collection recovered from a remote portion of Tikal. 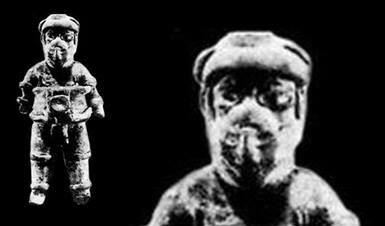 At approximately 3.5 inches tall by 2 and ¾ inches wide, the figure wears what can only be considered a pressure suit. His helmet, which completely covers his head, eye goggles, and mask appear to be attached and to part of a chest panel. Because we are completely at a loss to explain the science behind the development of his outfit – we can only speculate on the round device positioned in the middle of his chest and the items which lay below his belt and complete his suit. He’s a complete figure, except for his left and right forearms, and legs which may have been damaged when he was removed from, what must have been an aircraft. 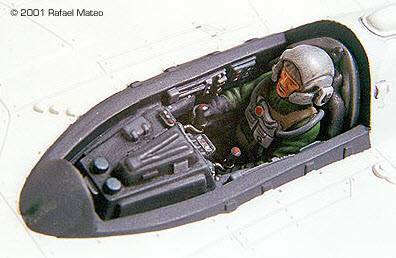 A detailed model of a pilot in the cockpit of a plane. One thing to note is the entire suit as a whole. The pilot is wearing a partial pressure suit and not a full pressure suit which would be required for travels outside the Earth’s atmosphere. What is a pressure suit? A pressure suit is a protective suit worn by high-altitude pilots who fliy at altitudes where the air pressure is too low for an unprotected person to survive. 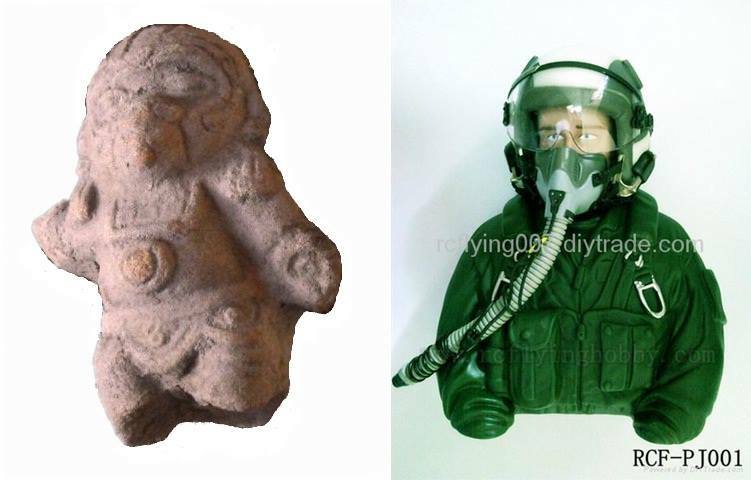 A comparison between an ancient pilot’s partial pressure suit and that of a modern reproduction of what pilot today use. Such suits may be either full-pressure (i.e. a space suit) or partial-pressure (as used by aircrew). Partial-pressure suits work by providing mechanical counter-pressure to assist breathing at altitude. The region from sea level to around 10,000 ft. (3,000 m) is known as the physiological-efficient zone. Oxygen levels are usually high enough for humans to function without supplemental oxygen and decompression sickness is rare. 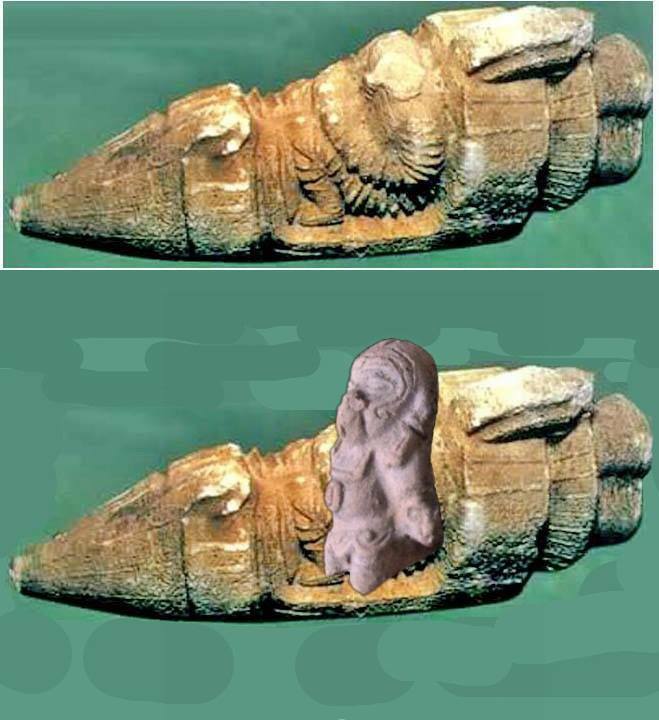 I strongly suspect that the figure was part of a larger piece which may have been similar to the Istanbul rocket ship discovered by Zacharia Sitchin over a decade ago, with the pilot sitting in the cockpit of the vehicle. This must have been a memento or toy and provided enough detail to be cherished as a reminder of the full-sized pilot and craft. In the photo at the top, the Istanbul rocket ship discovered by Zacharia Sitchin over a decade ago, in the Archeological museum in Istanbul. Conservatively dated at over 2,500 years old. In the lower photo, I’ve placed the Guatemalan Pilot in the seat of the Istanbul rocket to provide an idea of how he may have appeared. I’ve provided a number of comparisons of modern toy and model pilots wearing similar suits, so you can see the different components of each. In conclusion, what you’re viewing is part of an unknown history of our world, purposely left out of historic records and journals because it doesn’t fit in a linear perspective of time. Artifacts like this pilot are not acceptable to archeologists, anthropologists, and when found, are stored or placed in vaults away from the general public’s viewing. 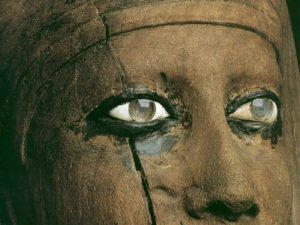 But, times are changing, and I’ve dedicated myself to unraveling some of the truths from our ancient past. Another example of an ancient partial pressure suit, but in this figure, a yoke is applied as a weight device with outer equipment.